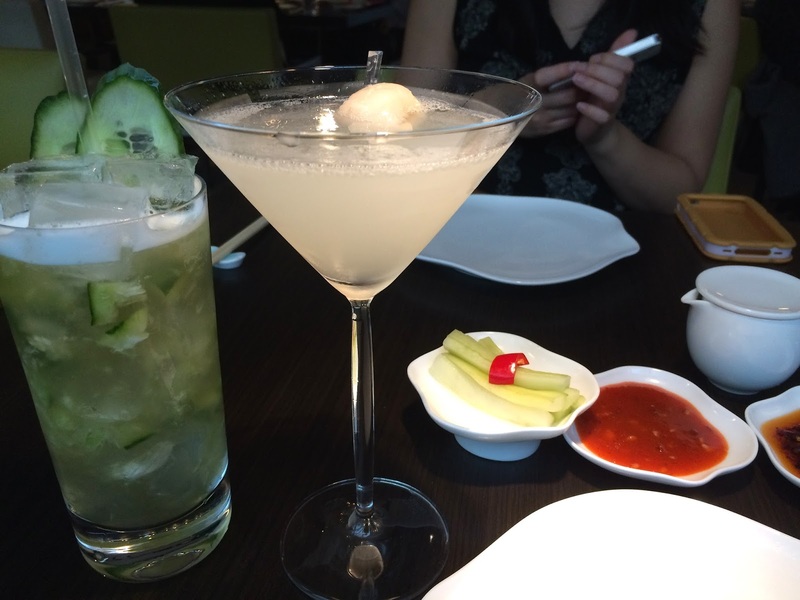 Mint and cucumber tea and a lychee martini. The martini was lush, but very strong. No skimping on alcohol here! 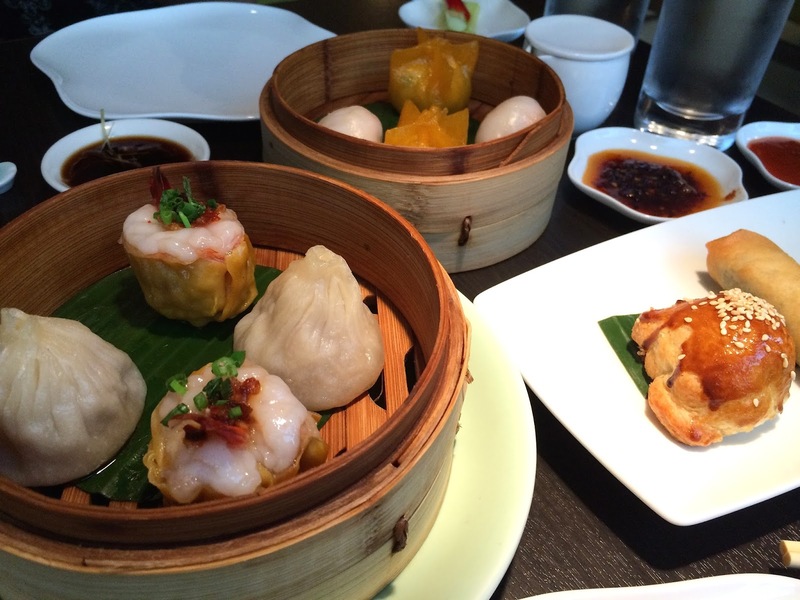 Not long after our drinks, the dim sum started arriving and we couldn't wait to tuck in! Venison puff and mushroom spring roll with black truffle. 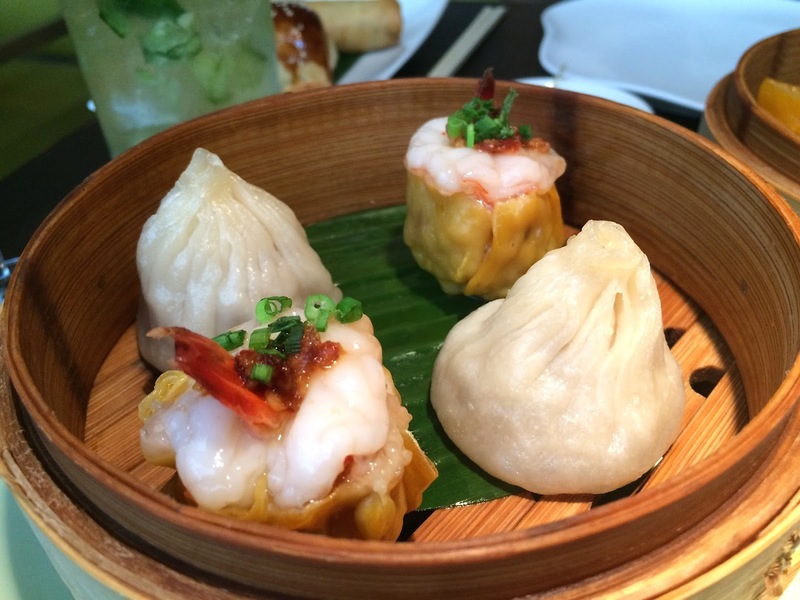 Prawn siu mai with chicken and king crab and pork xiao long bao. Crystal dumpling wrap with pumpkin and har gow prawn dumpling. 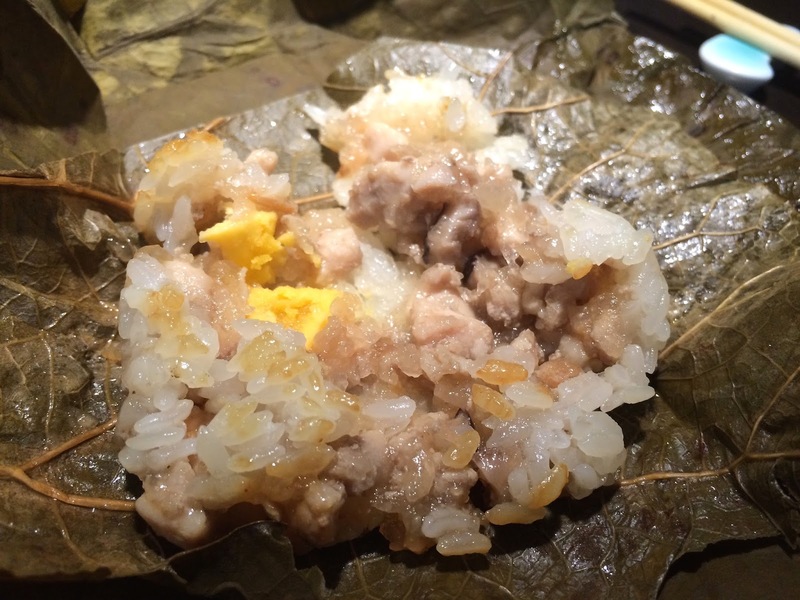 Sticky rice in lotus leaf with chicken, dried shrimp and salted egg. 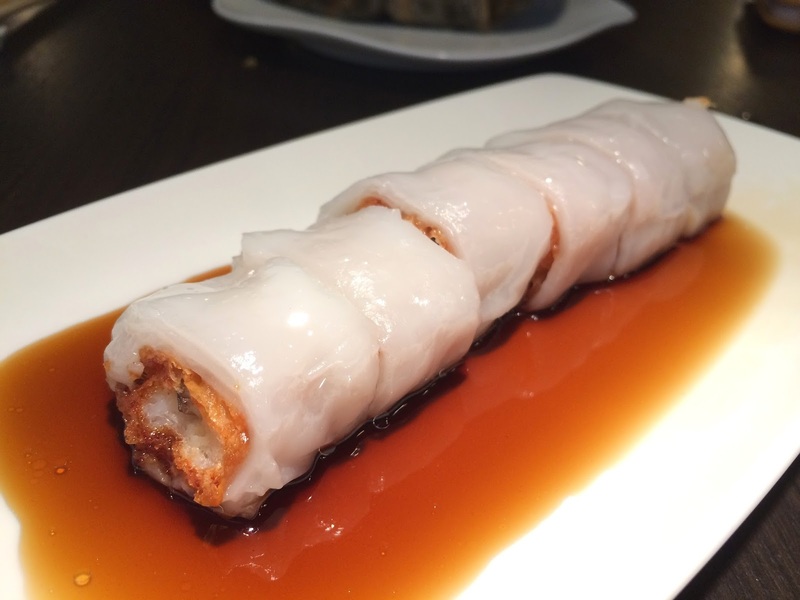 Prawn and crispy beancurd cheung fun. 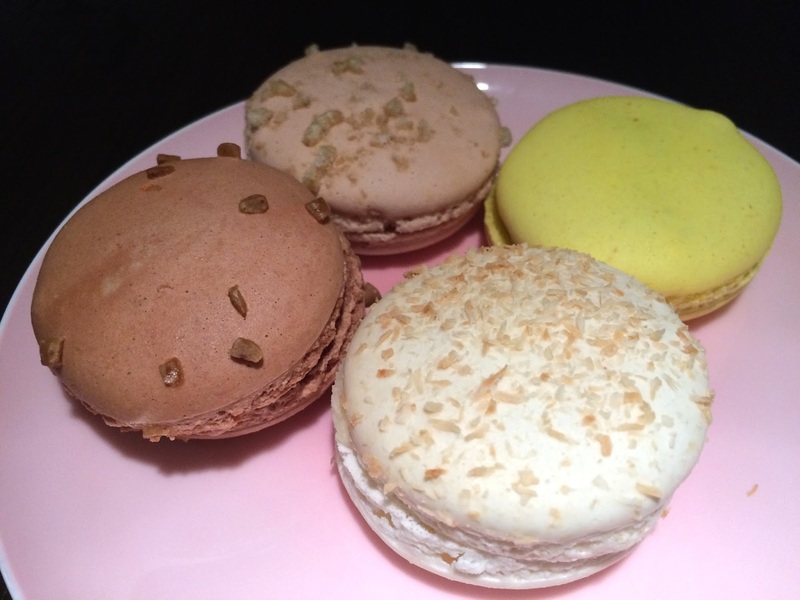 A selection of macarons. Clockwise from the top: Toasted rice and chocolate, yuzu chocolate, coconut and lychee, caramel. 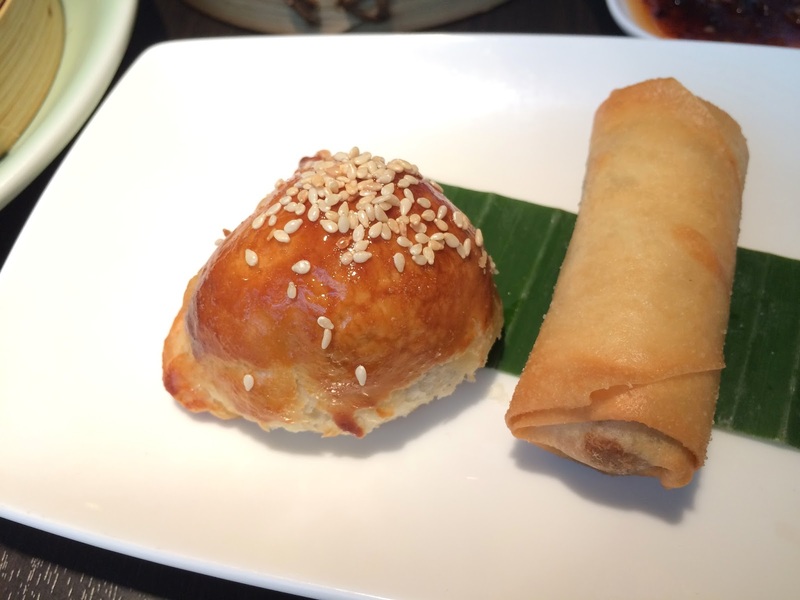 All the dim sum that came out were great in quality, and I could really taste the freshness of the ingredients. 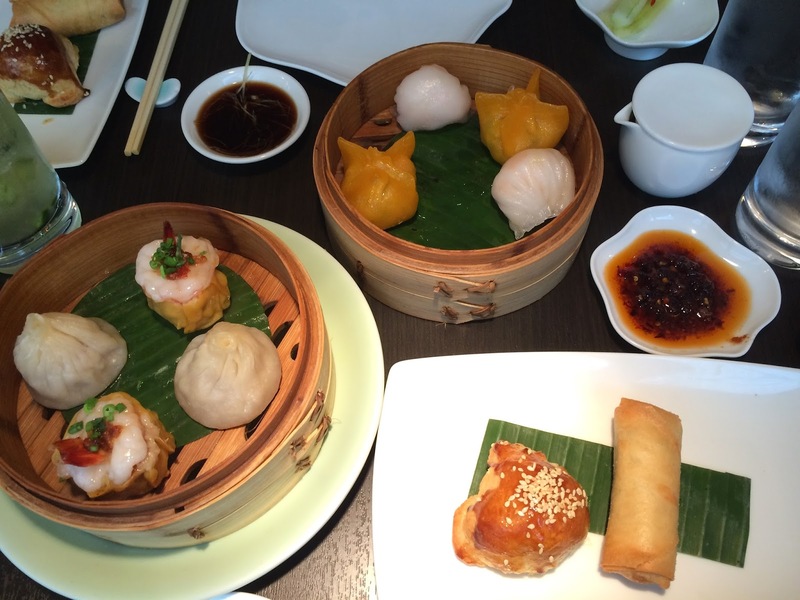 However, being a regular consumer of great dim sum, I found that only 3 made the cut. The venison puff was beautifully crumbly and fragrant with the meat juices; the mushroom spring roll was one of the tastiest veggie spring rolls I've ever eaten with only the faintest hint of truffle that didn't overpower the other flavours; and prawn siu mai with chicken with bouncy meat and perfectly seasoned. 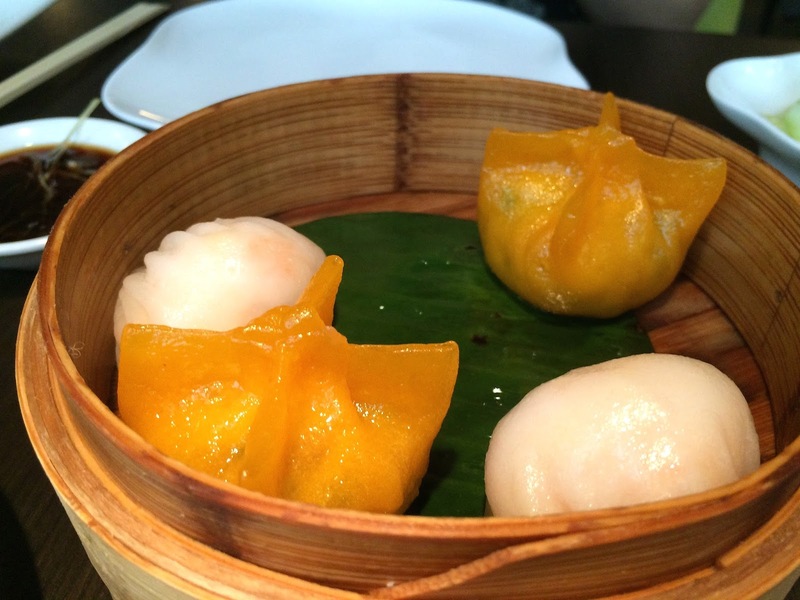 The dumpling skins in the pumpkin dumpling, har gow and xiao long bao lacked finesse in that they were thicker than they should be and there wasn't much of the signature bounce and chew. The xiao long bao innards wasn't fragrant enough, although the har gow and pumpkin insides were good and well seasoned. The sticky rice was good but lacking in all the traditional fillings. Chinese sausage and Chinese mushrooms were missing in action, and there was a lot of strange gelatinous bits. The cheung fun skin is just not silky or thin enough, and whilst the innards were such a great idea, it was overly salty. yuzu chocolate, coconut and lychee were missable. Whilst I didn't rate the food too highly, I really did enjoy the ambiance and the attentive service. Combined with the amazing deal, I would recommend and still dine here again, but I'm not sure I would pay full price. As this deal is exclusive to Bookatable, I had made a dinner reservation online only to find that this menu had time restrictions. Since I wanted to go after work with my sister, our only choice was 5pm or 9.30pm which were both not great options. Luckily, a quick call directly to Yauatcha resolved that as they were nice enough to offer us a 6pm slot. 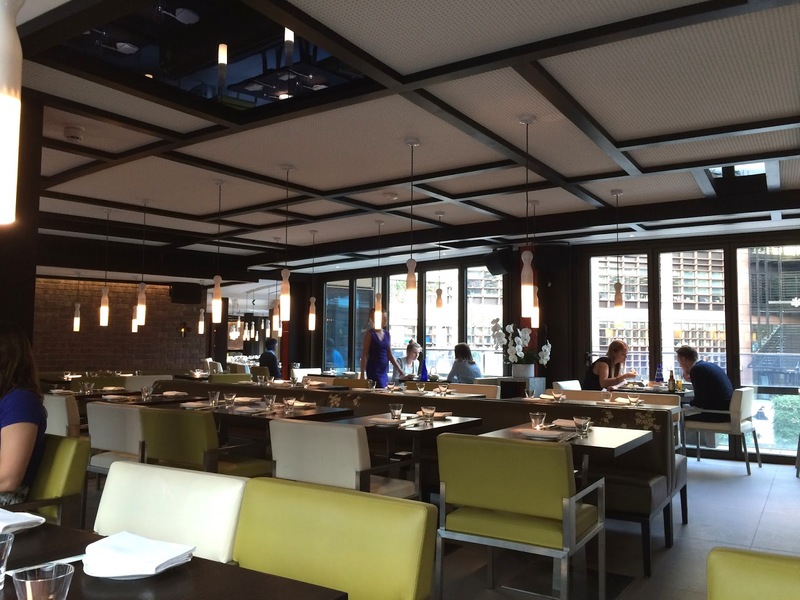 Have you dined at Yauatcha before and are you a fan? We use to park in the soho car park and as we come out there's a yauatcha there but it's always packed and we end up going to china town instead. The deal seems pretty good value...need to persuade J to go now but we know he's got his favoourite for dim sum these days!! Ah I was looking at this deal and saying to the boy we should try it just the other day! It's definitely great value for money. A shame that not all the dishes quite made the cut though! Oh yes the Bookatable deals are really great! 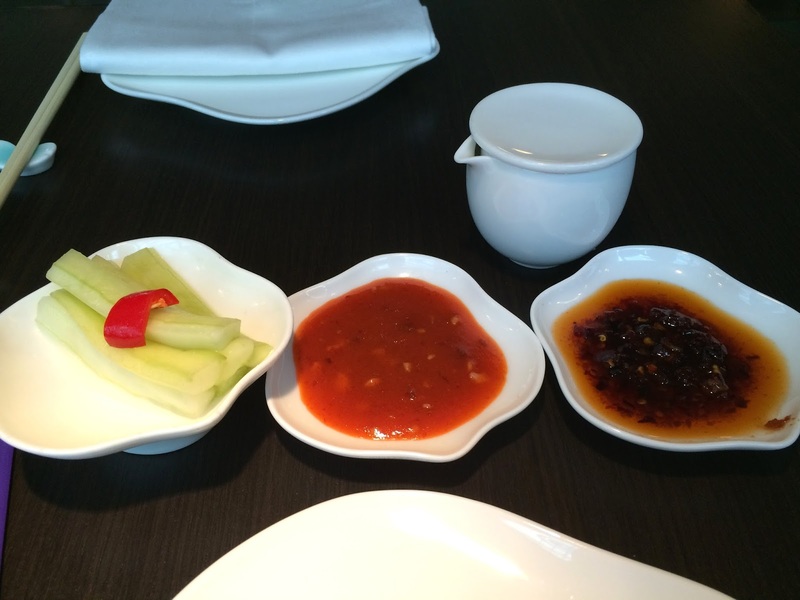 It's good value with the star deal and the food wasn't bad, I've just been spoilt by better dim sum in the past! It sure looks the part but such a shame that it didn't live up to your very high, but good, yum cha standards! I think I'm definitely going to Royal China as suggested by both you and Mandy! I find that with Yauatcha, the food looks so beautiful but the taste is always a bit of a let down. 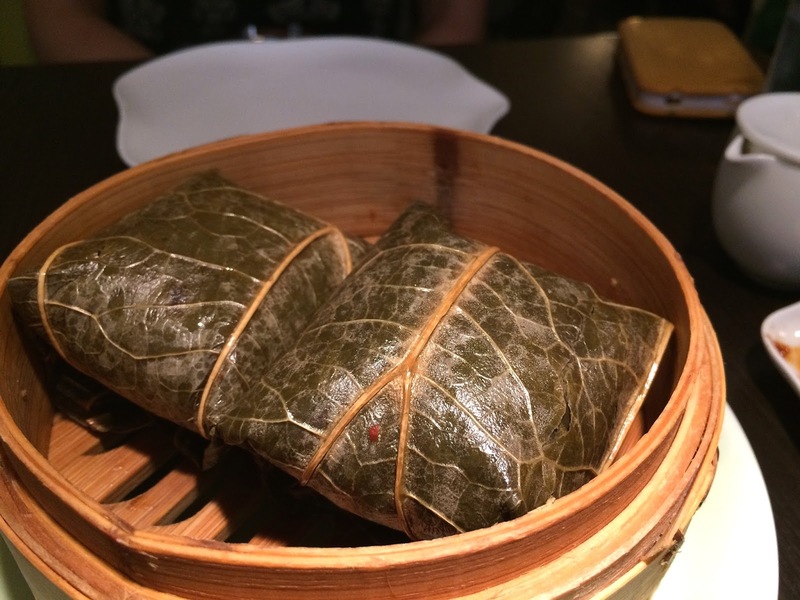 You definitely have to try Royal China in Queensway, the dim sum there is a work of art in terms of taste, texture and technique! Yum.